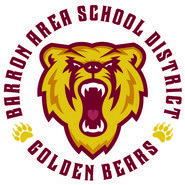 The mission of the Barron Area School District is to ensure all students reach their dreams while making a positive impact on the world. Home of the Barron Bears! Go Mobile with Campus Portal! Anytime, anywhere access! Get your Campus Portal information from your mobile device (iPhone, iPod Touch, iPad). To get connected, visit infinitecampus.com/mobile.